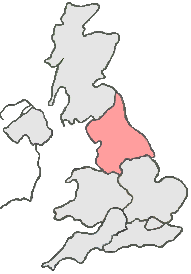 The city of Manchester stands in the UK’s largest metropolitan area. Manchester is home to many manufacturing companies and is linked to many major cities, via ring roads or motorways. Many, in the courier industry have taken advantage of Manchester’s motorway network and have set up delivery companies, in this area. This means for potential same day courier Manchester, choosing the right courier could prove difficult. Fortunately, Courier Expert can make this decision, a whole lot easier. We provide a range of delivery services, that can cater for all your delivery needs. Whether, you’re sending one small parcel or ten pallets, we have vehicles and professional drivers, ready and waiting. We pride ourselves on our customer support and believe the customer to be the most important part of the same day courier industry. So, if you’re looking for a Same Day Courier Manchester call us now on: 0161 9790474.